When it comes to gaming, it seems that the immersive experience offered by virtual reality headsets like the Vive is preferable to augmented reality devices such as Microsoft’s Hololens. But AR has a number of other uses that VR can’t match, including military applications. One recent augmented reality device comes from the US Navy, which has just built a high-tech diving helmet that has a transparent, HD HUD embedded directly into it. The Diver Augmented Vision Display (DAVD) system can clearly show data such as text, images, and even video without obstructing a diver’s view. It could show anything from location information to instructions sent from a ship above, and, using miniature external cameras, could offer users alternative vision modes that allow them to see better in the murky waters. 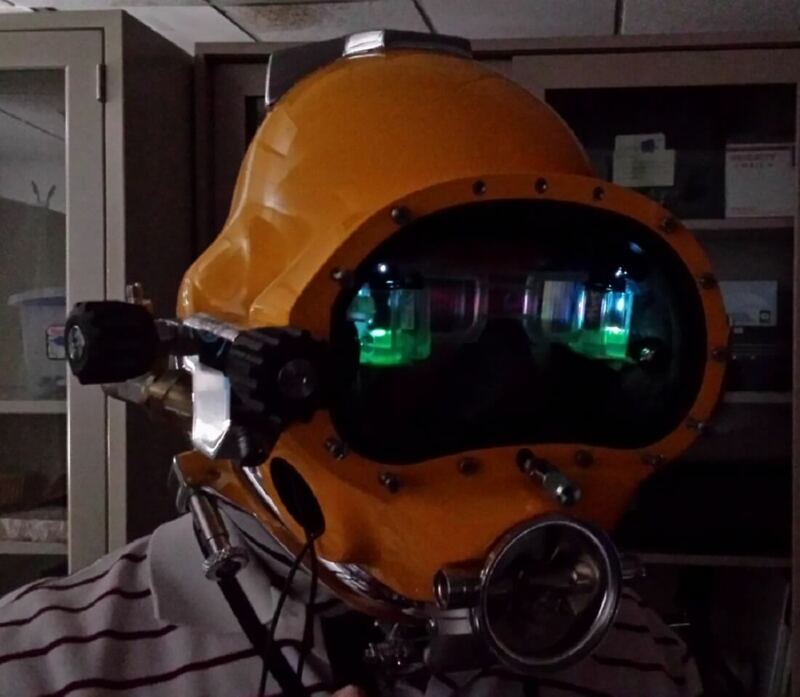 "By building this [heads up display] directly inside the dive helmet, instead of attaching a display on the outside, it can provide a capability similar to something from an Ironman movie," said Dennis Gallagher, the Navy's Underwater Systems Development Project Engineer, in a statement. "You have everything you visually need right there within the helmet." DAVD is able to give the illusion of depth by going over both eyes. The Navy says the system is expected to be used by military divers that are working on salvage operations, performing underwater construction, and repairing ships at sea. But it could eventually make its way to commercial divers and first responders. The system’s still in the prototype stage but in-water testing is set to begin in October, with further field tests taking place next year.